The first three Blancmange albums came in quick succession between 1982 and 1985. The next three as well, save for the quarter century in between. 2011’s stellar Blanc Burn was a return to form that made Popdose’s list of the Most Awesome New Wave Comebacks Ever. Happy Families Too, a modern reinterpretation of their debut followed last year. March 23, 2015 sees the release of Semi Detached, the first album of new Blancmange material to not feature band co-founder Stephen Luscombe. 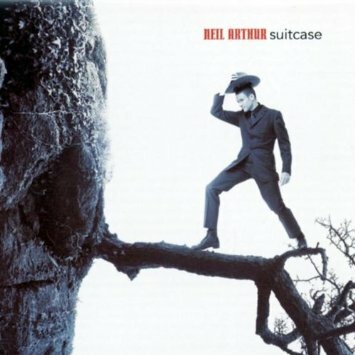 The last time Neil Arthur went solo, he went big, bold and POP with 1994’s Suitcase. This time around, he goes a bit darker, daring and personal. While previous albums may have boasted bigger pop singles (like ‘Living on the Ceiling’ and ‘Lose Your Love’), Semi Detached turns out to be perhaps the best cohesive album of Arthur’s career. Semi Detached is a very compelling, visceral and engaging listen – the production isn’t glossy, but sparse and edgy synths crackle with energy and Arthur’s lyrics reveal more and more with every spin. Arthur’s songwriting is as wry, obtuse and original as ever; and when you can make sense of it, he’s very personal and unguarded. Overall, it’s a very intimate synth record that sounds as much a product of 1982 as it does 2032. The album kicks off with ‘The Fall’, an 8-minute opus that is equal part breakup song, hat tip to Marc E Smith’s iconic band and soundtrack to the apocalypse depending upon how you engage with it. As Arthur rawly sings, “I think I’m going to listen to the Fall” without any vocal effects, you could easily picture Neil blasting “Repetition“ on his headsets while Fox News goes on and on about Benghazi in the background. After the Fall, a faithful cover of Can’s delicious ‘I Want More’ follows before we hear the LP’s first single, ‘Paddington’. Jarring guitar lines courtesy of David Rhodes (Kate Bush, Peter Gabriel) and a thumping club beat back Arthur’s WTF lyrics, “Sit crow walk nun, this could be over, before it’s begun”. Is this song really about that @#$%&* bear? Who cares, it’s great to play loud while throwing stuffed animals around while cleaning up the playroom — as a new dad, I listen to loud music in whatever fleeting moments I can find. At press time, Louder Than War clued me in as to the song’s true meaning — cheers mate. Ironically, Arthur sounded more semi detached on the last album. Here he is engaged, energized and as stoked to be recording as any worthy young band on their debut. In addition to the traditional LP, Cherry Red also promises an expanded Deluxe Edition packed with b-sides and remixes. 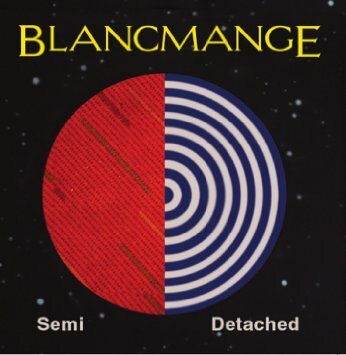 Blancmange “I Want Your Love (Extended Version)” from Semi Detached Deluxe Edition. Last summer, Popdose caught up with Neil Arthur in between the releases of Happy Families Too and Semi Detached. Here, we discuss both albums, lost gems and recording then and now. POPDOSE: How did the recording process evolve between the two Happy Families? The first was at the dawn of electronic music — I imagine dusty studios with miles of cable between keyboards and other sound boxes — the latter when you can record an entire album at home on your iPad. NEIL ARTHUR: Since the new album was recorded digitally, there is no long “thinking time/fag break” while the spools of multi-track tape rewind and sync to either each other if it went to 48 track or to a sequencer/drum machine. Bands like ELO and Def Leppard are re-recording their classics to gain control of their back catalogs. You appear to have more control of yours (the reissues appeared to have your input and blessing); did that inspire you to record an artistic re-creation versus a note-for-note reproduction of Happy Families? 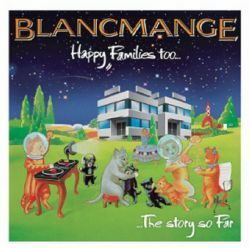 I have no interest in the latter; and as for control, we have it with the re-imagining of Happy Families Too and with the only other compilation, The Very Best of Blancmange. Obviously we always had control over the first three albums and then Blanc Burn. The other compilations were mainly released without our knowledge. Did any particular song on the new album seem to carry more weight now that you sing the lyrics with 30 years of additional life experience? For me, “I’ve Seen The Word” is the emotional high point of Happy Families Too. I found ‘cruel’ sat better this time around from a non-musician’s point of view. I enjoyed the whole process of making the album, which frankly was a surprise. In the beginning, you were the sound of the underground. Was a pop career your intention all along? I nearly fainted the day I saw a huge splashy spread about you in Star Hits (I still have that issue, I think they sent you two record shopping). We had no intention of having pop careers, but once it had started to happen, it would have not been easy to stop the machine. I think we also initially enjoyed aspects of it. Whenever I hear the term EDM tossed around, I think — this is not new! Blancmange, Depeche Mode and a host of essential bands were doing EDM years ago. That said; are there any current dance bands that strike your fancy? Yes, I listen to quite a bit of electronic music. I do like the Metronomy album. I’m a big fan of Matthew Dear, Dark Star, Actress, Xeno & Oaklander and of course looking back from time to time, LCD Soundsystem and Neu! 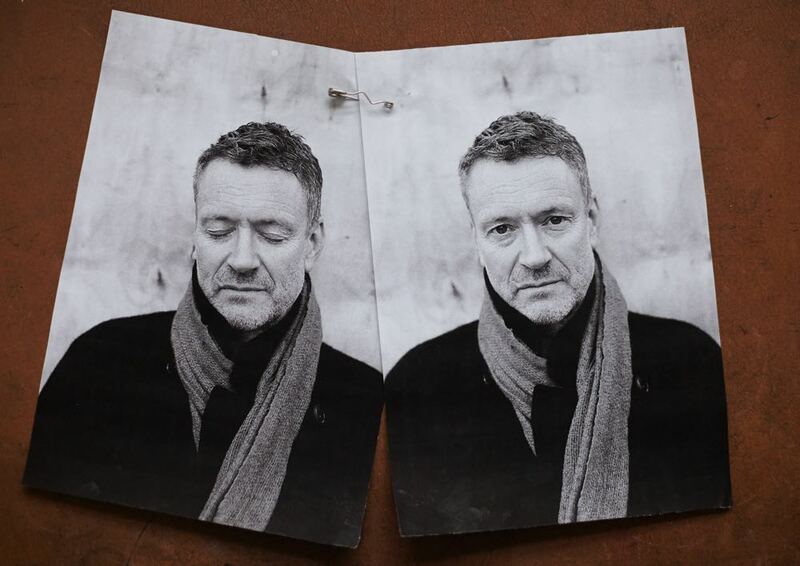 Your stellar solo album, Suitcase, in many ways feels like the great lost Blancmange album. It really reached for the stars in terms of pop prowess and ambition but almost immediately was out of print. What went wrong? When you get a “Record of the Week” on Radio 1 with your first solo single and the record company can’t get the station a copy that doesn’t jump and the physical record is into the shops, it taints the process a tad. It appears that you and Stephen each paired with Pandit Dinesh for projects outside of Blancmange (West India Company and awp1). What is his role in the band as a musician and collaborator? Dinesh is Dinesh, meaning there is only one. We give him the track and off he goes. Stephen works with him on film/TV music while I have written and obviously played live many times with him. He’s a wonderful man. Semi Detached features a track called ‘Bloody Hell Fire” what was long ago leaked from your project called awp1 (Arthur, Warner, Pandit Version 1). Did the project ever get a formal release? It was much darker than your Blancmange and solo work. awp1 was never meant to get released. It was and still is fun. We play live every now and then. With Blanc Burn, you joined the ranks of Duran Duran, Devo, OMD, the Ocean Blue, the Woodentops and the Wild Swans that have reemerged post 2010 with new music that ranks among your all time best; it honors your heyday sound while moving forward and reaching a modern fanbase. Question is, what took you two so long? What were your years away from the spotlight like? We never wanted to make another Blancmange album before then. I have always continued to write, composing for film and TV. Stephen wasn’t there when I wrote the initial demo. The idea came from my partner, when I happened to mention I was bereft of something to write about. She said I should write about what I was doing, which on the face of it was nothing, well having a coffee. It opened up another dimension. Can you solve a great mystery that is driving me mad: ‘22339′ — is that a postal code, a secret message, your Amazon password? Thanks for clarifying one of my favorite Blancmange songs! It’s not important. The numbers sounded nice together! Do you believe that? Semi Detached is available March 23, 2015 on CD and limited edition vinyl. 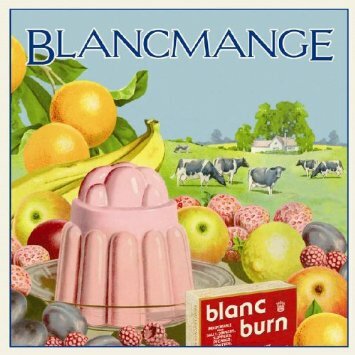 Connect with Blancmange online, facebook and at Cherry Red Records. Read more about Neil Arthur’s connection to Mark E. Smith and The Fall over at Mojo. Pre Order The Fall’s 31st album, Sub-Lingual Tablet (out May, 2015), at Cherry Red.